Holy Guacamole, Sam is back and bigger than ever in this proper second adventure of everyone’s favourite Croatian hero. Mental is back again and Sam this time needs to collection the pieces of an ancient medallion in order to defeat him. 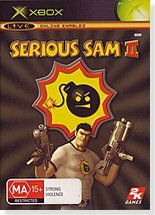 The question that most punters would be asking is does this game beat the first edition of Serious Sam? Having just completed the entire game (in Normal mode) I can answer that it doesn’t. Does that make it a bad game? Hell No! For those not in the know, Sam is one of the most fun shooters to hit the market. In an age where a lot of titles take themselves seriously (no pun intended), Sam is pure fun and very simple to play. You run around and you tie your finger to the trigger away you go! One of the first things that I have to say that comes to mind is that you will face a LOT more enemies in this version of the game. The Serious 2 engine is capable of showing a hell of a lot more on the screen at the same time in far greater detail than the game that went before it. There are a bevy of weapons that are new to this game and a number of ones that are new to the game like on of my faves which is a parrot bomb! That’s right, it’s a bird with a bomb that can more or less be directed at your target. They are a lot of fun however you will find that they are really too slow to be used on anything but even slower moving targets. The level design for the game is beautiful with lush, massive environments to fight your way through. The cool action music is back as well with the tempo increasing when the bad guys are around. Something that I noticed with this game is that when there are too many enemies right on top of you, the frame rate drops entirely. This surprises me considering that there was not a great deal of this occurring in the first one. This game tends to annoy though despite how much fun it is. On normal setting you fight a lot of characters and you will do it again and again and again. It’s just crazy and with many levels I had to repeat a scene over and over again as you only have checkpoints and cannot save whenever you like. Finally the finale is a letdown with a very very weak ending considering the amount of people that you are fighting against. I won’t wreck it but I will tell you that I was really pissed at the end when I saw the finish. 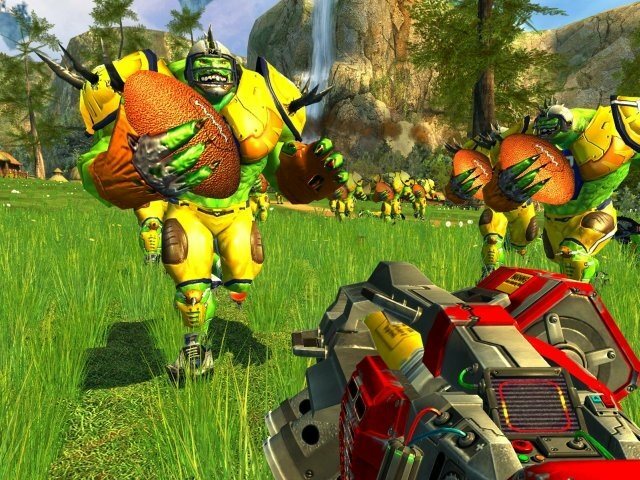 It would have to be the worst I have come across and I am really annoyed at Croteam for doing something so weak after completing the game. I so want to tell you this but won’t. All I can say is enjoy the game but don’t count on the big pay off at the end. Go on and get it though, its fun for the whole family (not really! 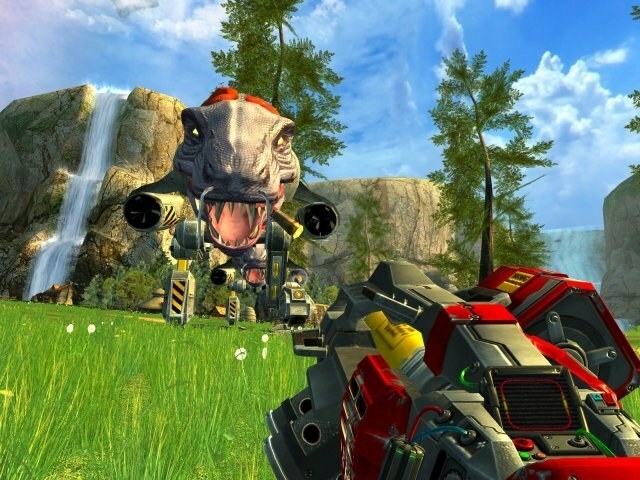 But certainly fun for fans of light hearted FPS).